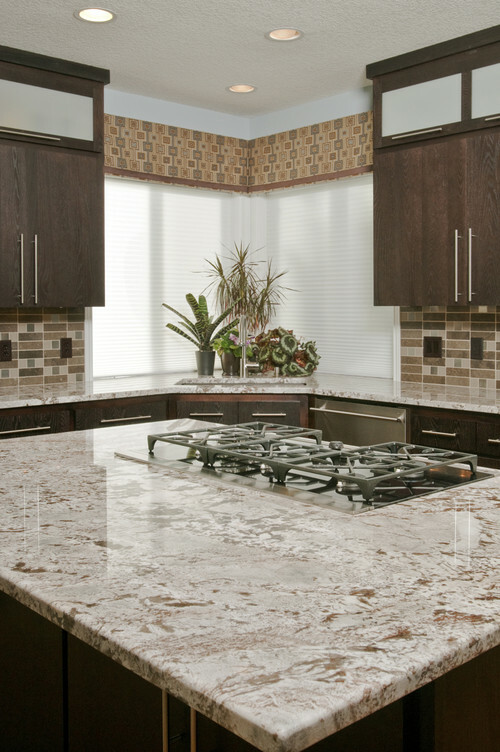 White Springs granite is quarried from a bedrock quarry in Brazil. White Springs is a really pretty white granite similar to Bianco Romano, Kashmire White & Bianco Antico. It generally has more red in it than the aforementioned colors and can have some nice movement within the slab. Other names for White Springs include: Bianco Primavera, Cold Spring and Crema Springs. White Springs is a great alternative to white marble...if you don't want to deal with the maintenance of white marble. For other suggestions of alternatives to white marble go here. White Springs is available in 2 cm and 3 cm slabs.